Open the Twitter app on your iPhone. Swipe right, and head to Settings and privacy> Display and sound. Tap on the dark mode toggle, and select Lights out option. 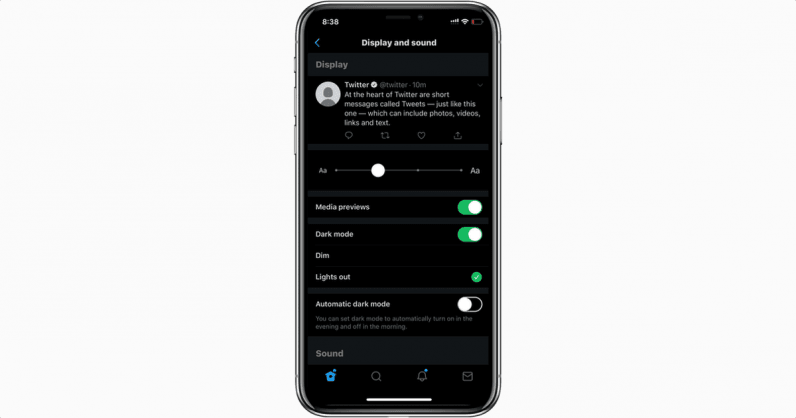 You can see the difference between the new and old dark mode in the screen capture below. There’s no word on when this feature will make it to the Android app and the web, but the company told Engadget that it’s coming soon. We’ll keep an eye out and let you know when it arrives.